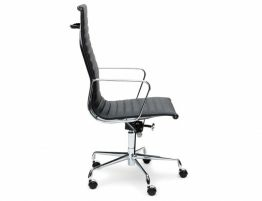 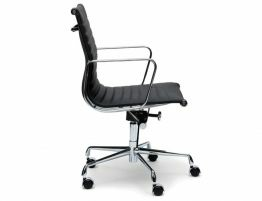 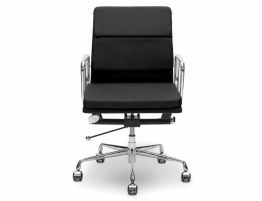 The Iconic Office Chairs consist of the executive chair, management chair, and soft pad chair in high or low back. 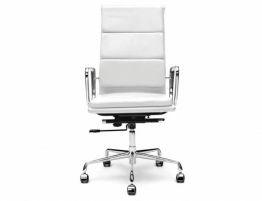 5-star base, tilt-swivel mechanism and seat-height adjustment. 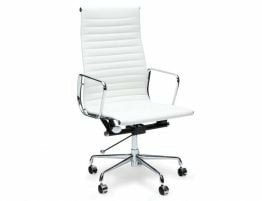 A modern office chair that’s durable and comfortable. 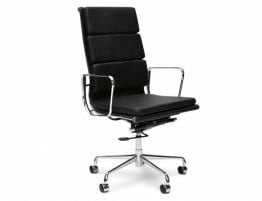 Because these are made from solid panels of cowhide rather than bonded leather off cuts, you have the ultimate strength and durability of the finest leather products. 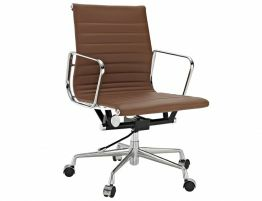 Corrected grain means that the cowhide may have had some scars, tick bites etc during the life of the animal and when the hide is tanned, they fill in or buff out any of the imperfections to give the finished product a clean uniform look.